There is a wide variety of flooring options to choose from in both solid, engineered and every other alternative you can imagine. Q: We’re redoing our floors and have been going back and forth in a heated debate about hardwood vs. carpet. Help our home find a peaceful resolution, please! A: Were your raised like I was? Red shag carpet, olive appliances and being told there was nothing better than REAL solid, hardwood flooring? Anything less was, well … just less (said with an upturn of a nose and a chuckle). Now, you might be wondering, is that still the case? Many would argue that it is, and equally as many would say otherwise. From the looks of our showroom, I will tell you that you have a wide variety of options to choose from in both solid, engineered and every other alternative you can imagine (laminate, vinyl plank, tile, etc.). Solid hardwood is still amazing! So many colors and styles, with all the flexibility to refinish for years to come. 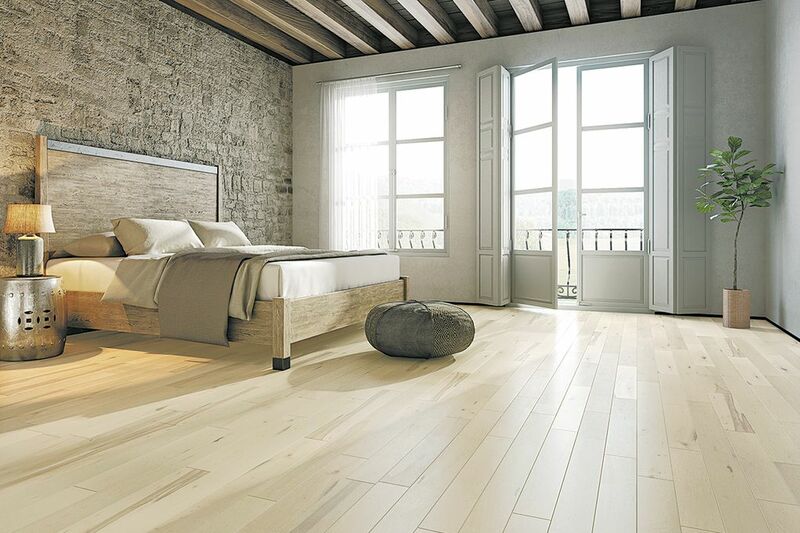 It is beautiful — thick wood and luxe finishes that offer the opportunity to renew your floor over and over again. And, if you love the style you choose, your solid hardwood floor will last you a lifetime! Engineered hardwoods are also amazing, because they are solid hardwood veneer on top with an engineered core. With engineered wood, you have more finishes to choose from with an even bigger variety of sizes and widths. To create these engineered hardwoods, you aren’t held to the size of a tree, so planks can get wide. 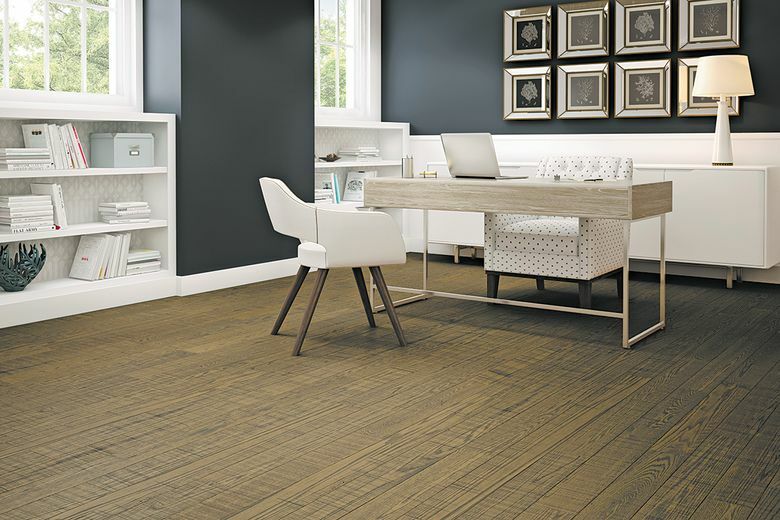 Wide plank size continues to be one of the biggest trends we see. As it relates to plank size, engineered hardwood is where it’s at because of its structural stability. What factor is most important? Color and finish are probably first and foremost, along with of the strength of the wood. Many consumers pick the color and finish they like first. Oil and brushed finishes are the most popular these days. After color and finish, consumers should then make sure the strength of the wood fits their lifestyle. Harder, stronger woods will withstand more wear and tear than softer woods. However, they all have their place in homes these days. As for color, we are watching the trends bend back towards more neutral warm tones again. So many of us need some warm tones to go with our existing home. New construction still leans toward cooler tones, but that too is shifting slightly. Hard surfaces like hardwood and tile continue to be on the rise. As home values increase, many people are ditching the carpet in the main areas of their home and installing the wood floor they always dreamed of. Another sign of the times — or maybe just a sign of a strong housing market — is that more and more people are going back to installing hardwood on their stairs. This can be an expensive investment, but it’s one that many people swear by. Is solid hardwood the best? The debate between solid and engineered continues. The only thing for certain, with the wide variety of styles, types and manufacturers, is that when it comes to hardwood, there truly is something for everyone. Jenny Steiner works for Builders Interiors in Woodinville and is a member of the Master Builders Association of King and Snohomish Counties, and HomeWork is the group’s weekly column. If you have a home improvement, remodeling or residential homebuilding question you’d like answered by one of the MBAKSC’s more than 3,000 members, write to homework@mbaks.com.